Wat Pha Ban Tat is a little to the south of Udon Thani city, and has quite a rich history, in addition to an odd legend. 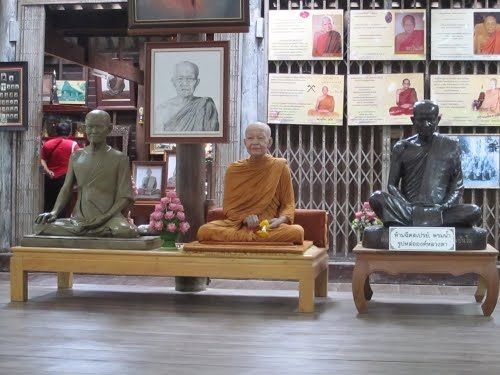 Ajahn Maha Boowa was seeking a quiet, and secluded location in 1950, so went to stay at the village of Huey Sai. During his stay, he was very strict and serious in his teaching of monks and novices, in the subject of both dhutanga practices and meditation practices, a method of teaching he pursued until the same principles of practice became increasingly established within his followers. Villagers and relatives requested that he settle in the forested area south of the village, and asked him to make his residence a permanent feature, as a favour to the villagers, and to no longer wander in the manner of a forest monk. With thanks to a donation of a piece of land of approximately 64 acres, he would be able to establish a monastery, and as his mother was old and that it was appropriate for him to look after her, the donation was accepted, and he began to build this monastery in November 1955. 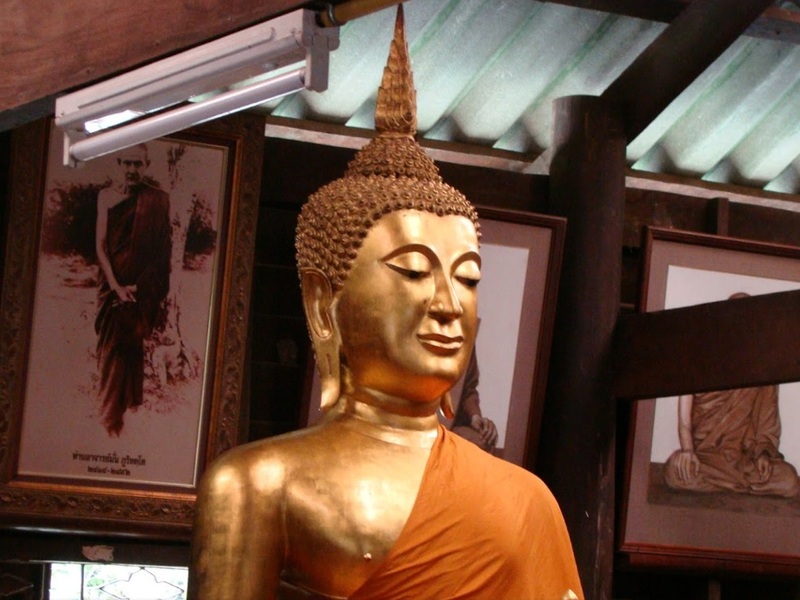 The monastery was named Wat Pha Ban Tat, and has always been a place for meditation, and a place solely for developing the mind. The Wat is set in a small forest and well looked after, as well as being protected by a concrete wall that encircles the area. The general condition of the forest which still exists, remains as it originally was, featuring lush vegetation of many varieties and home to several types of forest animal. 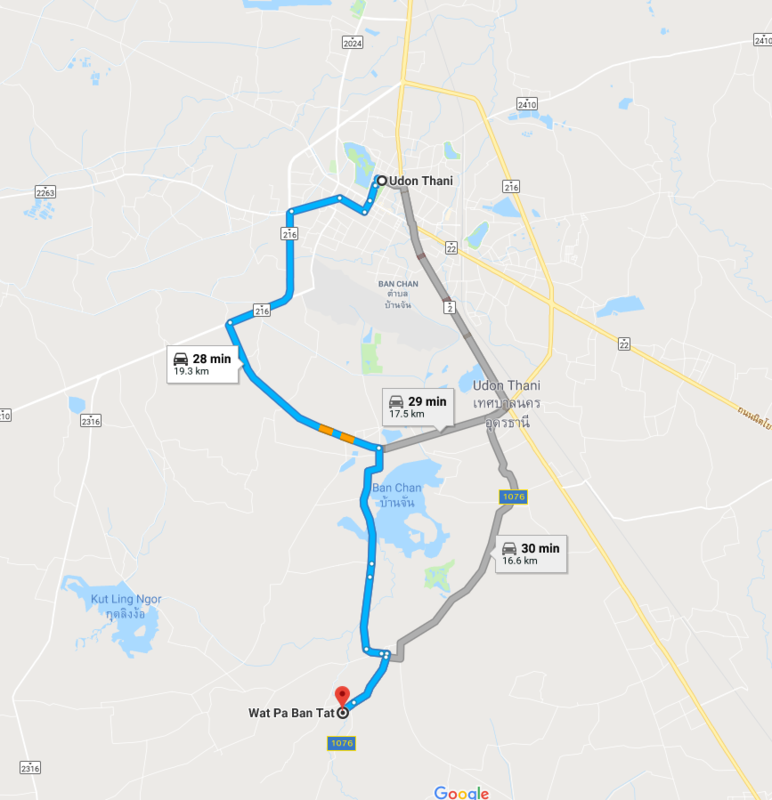 The overall view is that of a forest hilltop surrounded by rice fields, and is perhaps the only unspoiled piece of forest left in Mueng district, in the Udon Thani Province. The land surrounding the monastery has more recently been cleared for cultivation, and what forest that does remain inside the domain of the monastery is only a remnant of what the forest once used to be. 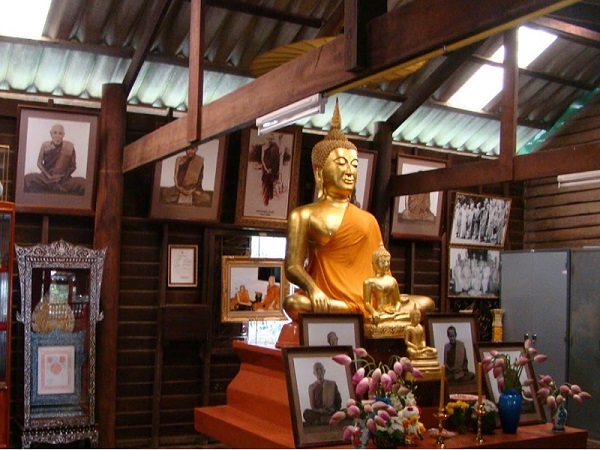 Wat Pha Ban Tat has tried to conserve its remnant of the forest in its original, and natural state, so that monks, lay people, and novices alike can make use of its tranquility for the practice of the Dhamma taught by the Lord Buddha. Legend has it that there were three tigers and maybe three leopards that came and went years ago. The leopards walked around the dwellings but were not interested in humans, only the dogs. The leopards were used to eating animals, such as dogs, and associated man with dogs, with dogs being dependent on man for food and shelter. The leopards, whenever they heard a human voice anywhere, would sneak in and peek around in search of their quarry, but if there were no dogs in view, would simply slip away again. However, if they found a dog, they would chase after it until it was caught. Some leopards would simply lie in wait, until the opportunity to pounce would arise. As I said, it is legend, as there are no tigers or leopards that roam in Thailand (as far as I know).